Less Than Jake, Bayside, Anti-Flag and more to play Four Chord Music Festival. 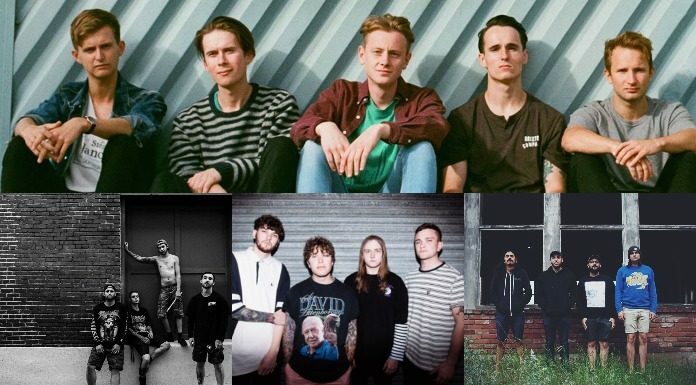 Watch new music videos by WSTR and Cane Hill—plus, don’t miss Less Than Jake, Bayside and Anti-Flag at Four Chord Music Festival. Check out the news you might have missed today below! WSTR announced they signed to Hopeless Records and celebrated by sharing their first single and music video, “Bad To The Bone,” off their upcoming album, Identity Crisis. The album will be released Aug. 31, and you can preorder your copy here and check out the full track listing below. Less Than Jake, Bayside and Anti-Flag will headline the fifth annual Four Chord Music Festival in Pittsburgh this August. There are still two more bands to be announced, and you can grab your tickets to the show here. Check out the full lineup so far below. Cane Hill dropped a new video for their song “It Follows,” which is off their latest album Too Far Gone. They also announced a summer tour, and you can purchase your tickets here and see the full list of dates below. We wanted to do something a little more intimate for you guys. Roam have announced a series on intimate shows in the U.K. this July. They will be joined by Milestones and Wolf Culture. Tickets go on sale on Wednesday, and you can buy those here. Also, check out the full list of tour dates below. Elliot Babin of Touche Amore is releasing a solo album, I Went Swimming Alone, under the name Warm Thoughts on Friday. Brooklyn Vegan is currently premiering the album, so you can listen to that here. Check out the full track list below, and preorder your copy here. Belle have signed to Tragic Hero Records and released their debut single “Reverence.” The band will be going on tour this summer, and you can check out the full list of dates below. Destroy Boys have released a new video for their single “American River.” The band are currently on tour, and you can check out the full list of dates below. Famous Las Words is back to the studio for the first time since the recording of their 2016 hit album The Incubus. The band share a video of them working on new music with From First To Last frontman Matt Good.